You may visit McDonald's in The Pompey Shopping Centre at 3 Fratton Way, about a 1.85 mile driving distance south-east from the centre of Portsmouth, in Milton (near Fratton Way). The restaurant principally provides service to people from the locales of Somers Town, Eastney, Portsmouth City Centre, Portsea, Southsea, Milton, Baffins and Fratton. Doors are open here today (Thursday) from 6:00 am - 2:00 am, for those who'd like to drop in. This page includes hours of operation, place of business info or direct phone for McDonald's Milton, Portsmouth. 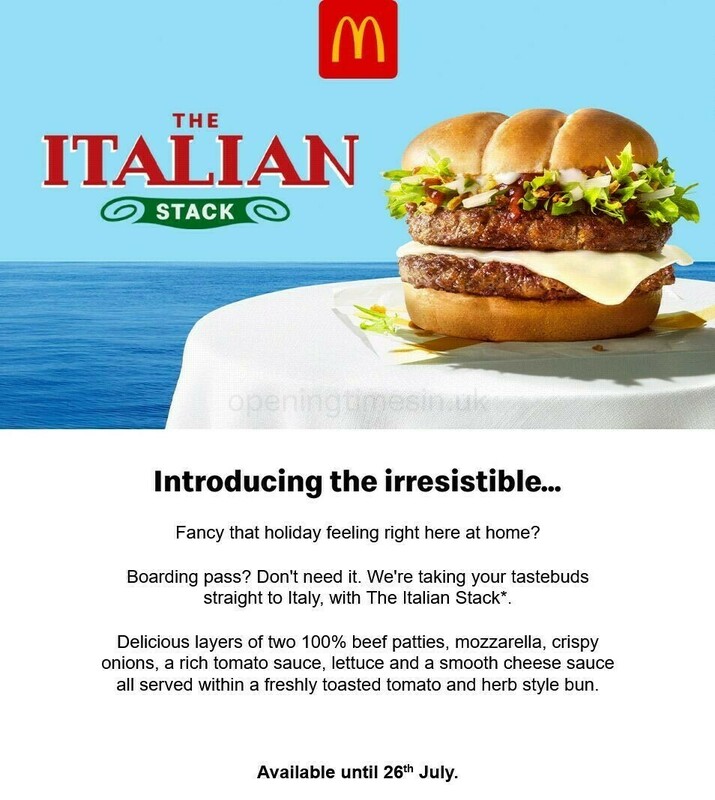 You can visit McDonald's near the roundabout of Fratton Way, Winston Churchill Avenue, Goldsmith Avenue, Victoria Road North, Isambard Brunel Road, Fratton Road and Fawcett Road, in Milton, Portsmouth, at The Pompey Shopping Centre. Just a 1 minute drive time from Haslemere Road, Frensham Road, Carisbrooke Road or Goldsmith Avenue; a 4 minute drive from Eastern Road, Eastney Road and Fratton Road; and a 8 minute drive time from Velder Avenue or Milton Road. Get off at Shepherds Crook, Fratton Way, Francis Avenue or Frencham Road. If you're arriving by train, Fratton Station (1620 ft), Portsmouth & Southsea Station (1.03 mi) and Portsmouth Harbour Station (1.78 mi away) are nearby. The South West Trains line stops here. Just a short walk away there is Rodney Road Centre, Fernhurst Junior School, Kingston Cemetery, Saint Mary's Hospital, Fratton Park and Priory School. At this moment, McDonald's owns 5 restaurants in Portsmouth, Hampshire. Click here for a complete listing of McDonald's locations near Portsmouth. Please take into consideration that public holidays may prompt alterations to the business hours for McDonald's in Milton, Portsmouth. In 2019 the aforementioned updates involve Christmas Day, Boxing Day, Easter or Spring Bank Holiday. Have a look at the official site when planning your trip to McDonald's Milton, Portsmouth, or call the information line at 370 524 4622 for added info about the holiday working times. When visiting McDonald's, don't forget to browse around the additional quality stores at The Pompey Shopping Centre. At this location you will also find TESCO, SUBWAY and McDonald's. It's the Opening Times in the UK team's purpose to deliver you with the most current information. Please utilize the report a problem form to report any errors with the place of business address details or business times for McDonald's in Milton, Portsmouth. Help future customers with your feedback! In the box below please post your comments on McDonald's and rate the restaurant using the star rating scale.